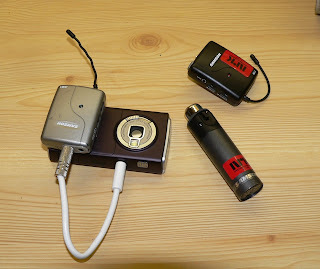 To be even more precise how to make your wire between Nokia N95 and a fm radio microphone you can study this picture. 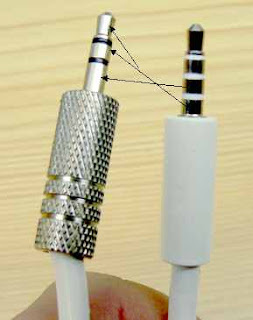 The inner ring on the 4 poled 3,5mm mini jack on N95 is the sound input. The second inner ring is earth for all functions. Normally I would lead it to a female 3,5mm 3 or 2 pole mini jack plug. Be aware that when you set the plug in to N95 it should display Headset mode. If it says headphones or something else it wont work. Then you can try to wait with plugging in the microphone itself. Lagt inn av Bloggerguy kl. 6:30 p.m.